Come for an Incredible Evening! Enjoy cocktail hour and the experience of an open market of Ethiopian Crafts. Begin your Ethiopian Experience at 6:00 at a nearby location then board the safari trolley to Ngala. More details given when tickets are purchased. 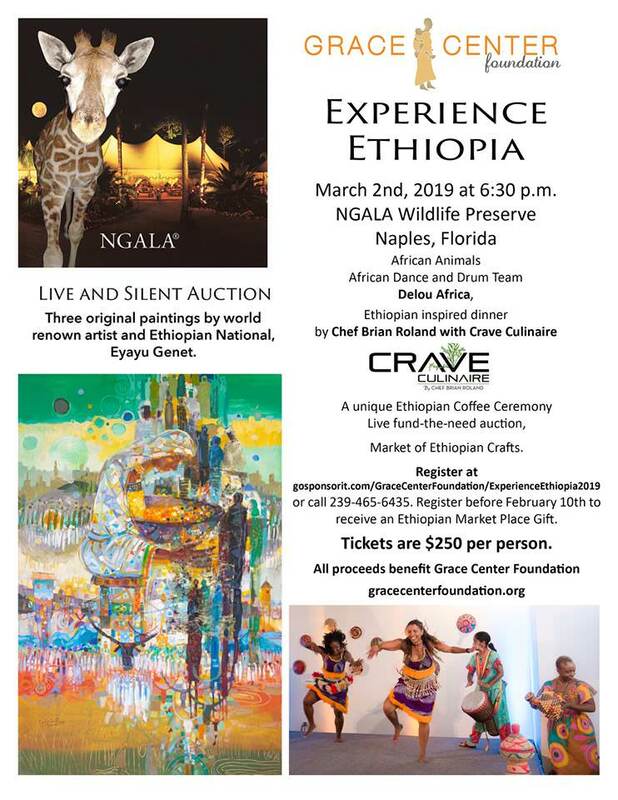 Register before February 10th to receive an Ethiopian Market Place Gift.